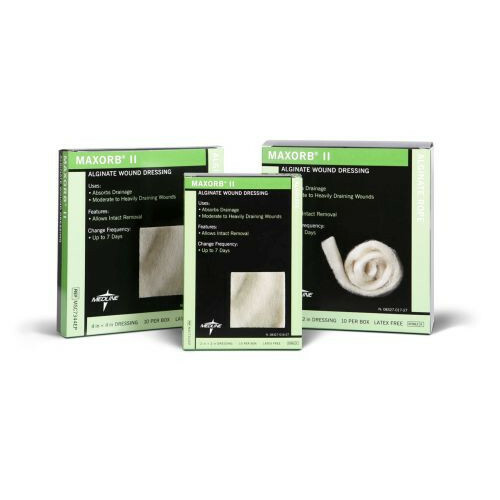 MedLine Maxorb II Alginate Dressings are ideal for absorbing fluid from moderate to heavily draining wounds. The Maxorb II AG Dressing contains 100% calcium alginate and wicks fluid vertically to help prevent skin maceration. 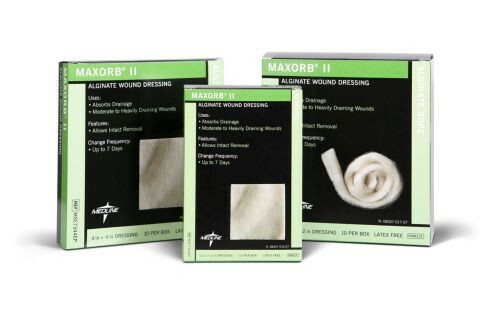 This alginate wound dressing provides maximum absorption to partial and full-thickness wounds and can be worn up to seven days.